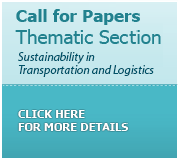 Abstract: Paper aims: Identify the use of statistical thinking and techniques and their main difficulties and benefits in the Brazilian State of São Paulo industries. Originality: There are few empirical studies on the application of the statistical thinking and techniques which study their difficulties of implementation and their benefits in manufacturing companies. Research method: A web survey of a sample of 243 manufacturing companies. Main findings: The companies, in general, use some statistical principles and basic techniques for process control and improvement, however, companies that use principles and techniques more consistently have greater operational and team benefits. The main difficulties are associated to lack of culture and knowledge. Abraham, B. (2005). Statistics in business and industry: implementation. International Statistical Review, 73(2), 173-176. http://dx.doi.org/10.1111/j.1751-5823.2005.tb00263.x. Ahmed, S., & Hassan, M. (2003). Survey and case investigations on application of quality management tools and techniques in SMIs. International Journal of Quality & Reliability Management, 20(7), 795-826. http://dx.doi.org/10.1108/02656710310491221. Antony, J., Kaye, M., & Frangou, J. A. (1998). A strategic methodology to the use of advanced statistical quality improvement techniques. The TQM Magazine, 10(3), 169-176. http://dx.doi.org/10.1108/09544789810214765. Bergquist, B., & Albing, M. (2006). Statistical methods–does anyone really use them? Total Quality Management & Business Excellence, 17(8), 961-972. http://dx.doi.org/10.1080/14783360600747762. Bisgaard, S., Doganaksoy, N., Fisher, N., Gunter, B., Hahn, G., Keller-McNulty, S., Kettenring, J., Meeker, W. Q., Montgomery, D. C., & Wu, C. F. J. (2008). The future of industrial statistics: a panel discussion. Technometrics, 50(2), 103-127. http://dx.doi.org/10.1198/004017008000000136. Bjerke, F., & Hersleth, M. (2001). Introducing statistical thinking to the food industry: facilitating and inhibiting factors. The Quality Management Journal , 8(3), 49-60. http://dx.doi.org/10.1080/10686967.2001.11918966. Boyer, K. K., Olson, J. R., Calantone, R. J., & Jackson, E. C. (2002). Print versus electronic surveys: a comparison of two data collection methodologies. Journal of Operations Management, 20(4), 357-373. http://dx.doi.org/10.1016/S0272-6963(02)00004-9. Bradley, N. (1999). Sampling for Internet surveys: an examination of respondent selection for Internet research. Market Research Society Journal, 41(4), 1-10. http://dx.doi.org/10.1177/147078539904100405. Britz, G. C., Emerling, D. W., Hare, L. B., Hoerl, R. W., Janis, S. J., & Shade, J. E. (2000). Improving performance through statistical thinking. Milwaukee: ASQ Quality Press. Chipp, K., Goldman, M., & Kleyn, N. (2007). What they really think: resolving methodological issues in supply chain ethics research. Professional Accountant, 7(1), 112-122. Coleman, S. Y. (2013). Statistical Thinking in the quality movement ± 25 years. The TQM Journal, 25(6), 597-605. http://dx.doi.org/10.1108/TQM-06-2013-0075. Couper, M. P. (2000). Web surveys: a review of issues and approaches. Public Opinion Quarterly, 64(4), 464-494. http://dx.doi.org/10.1086/318641. PMid:11171027. Creswell, J. (2009). Research design: qualitative, quantitative, and mixed methods approaches. New York: SAGE Publications. Deming, W. E. (1986). Out of the crisis. Cambridge: Centre for Advanced Engineering Study, Massachusetts Institute of Technology . Dillman, D. A. (1991). The design and administration of mail surveys. Annual Review of Sociology, 17(1), 225-249. http://dx.doi.org/10.1146/annurev.so.17.080191.001301. Dillman, D. A. (2000). Mail and internet surveys: the Tailored Design method . New York: John Wiley & Sons. Easton, G. S., & Rosenzweig, E. D. (2012). The role of experience in six sigma project success: An empirical analysis of improvement projects. Journal of Operations Management , 30(7-8), 481-493. http://dx.doi.org/10.1016/j.jom.2012.08.002. Evans, J. R. & Lindsay, W. M (2005). The management and control of quality . Mason: Thomson South-Western. Evans, J. R., & Mathur, A. (2005). The value of online surveys. Internet Research , 15(2), 195-219. http://dx.doi.org/10.1108/10662240510590360. Fan, W., & Yan, Z. (2010). Factors affecting response rates of the web survey: a systematic review. Computers in Human Behavior, 26(2), 132-139. http://dx.doi.org/10.1016/j.chb.2009.10.015. Firka, D. (2011). Statistical, technical and sociological dimensions of design of experiments. The TQM Journal, 23(4), 435-445. http://dx.doi.org/10.1108/17542731111139509. Fotopoulos, C., & Psomas, E. (2009). The use of quality management tools and techniques in ISO 9001: 2000 certified companies: the Greek case. International Journal of Productivity and Performance Management, 58(6), 564-580. http://dx.doi.org/10.1108/17410400910977091. Fricker Junior, R. D., & Schonlau, M. (2002). Advantages and disadvantages of internet research surveys: evidence from the literature. Field Methods, 14(4), 347-367. http://dx.doi.org/10.1177/152582202237725. Goh, T. N. (2011). Six sigma in industry: some observations after twenty-five years. Quality and Reliability Engineering International, 27(2), 221-227. http://dx.doi.org/10.1002/qre.1093. Goh, T. N. (2015). Emerging megatrends in quality engineering and the “New 5S” response. Quality Engineering, 27(4), 450-460. http://dx.doi.org/10.1080/08982112.2015.1036294. Grigg, N., & Walls, L. (2007). Developing statistical thinking for performance improvement in the food industry. International Journal of Quality & Reliability Management , 24(4), 347-369. http://dx.doi.org/10.1108/02656710710740536. Hair Junior, J. F., Black, W. C., Babin, B. J., & Anderson, R. E. (1998). Multivariate data analysis. New York: Prentice-Hall. Hoerl, R. W., & Snee, R. D. (2009). Post financial meltdown: what do the services industries need from us now? Applied Stochastic Models in Business and Industry, 25(5), 509-521. http://dx.doi.org/10.1002/asmb.805. Hoerl, R. W., & Snee, R. D. (2010). Statistical thinking and methods in quality improvement: a look to the future. Quality Engineering, 22(3), 119-129. http://dx.doi.org/10.1080/08982112.2010.481485. Hoerl, R. W., & Snee, R. D. (2012). Statistical Thinking: improving business performance. New Jersey: John Wiley & Sons. http://dx.doi.org/10.1002/9781119202721. Hoerl, R. W., Snee, R. D., & De Veaux, R. D. (2014). Applying statistical thinking to ‘Big Data’ problems. Wiley Interdisciplinary Reviews: Computational Statistics , 6(4), 222-232. http://dx.doi.org/10.1002/wics.1306. Jabbour, A. B. L. S., Alves Filho, A. G., Viana, A. B. C., & Jabbour, C. J. C. (2013). Práticas de gestão da cadeia de suprimentos e seus eventuais relacionamentos com as prioridades competitivas da produção: evidências empíricas do setor eletroeletrônico à luz de modelagem de equações estruturais. Production Journal, 23(2), 241-256. http://dx.doi.org/10.1590/S0103-65132012005000069. Jensen, W., Anderson-Cook, C., Costello, J. A., Doganaksoy, N., Hoerl, R. W., Janis, S., O’Neill, J., Rodebaugh, B., & Snee, R. D. (2012). Statistics to facilitate innovation*: a panel discussion. Quality Engineering, 24(1), 2-19. http://dx.doi.org/10.1080/08982112.2012.621865. Laureani, A., & Antony, J. (2017). Leadership characteristics for Lean Six Sigma. Total Quality Management & Business Excellence, 28(3-4), 405-426. http://dx.doi.org/10.1080/14783363.2015.1090291. Lim, S. A. H., Antony, J., Arshed, N., & Albliwi, S. (2017). Systematic review of statistical process control implementation in the food manufacturing industry. Total Quality Management & Business Excellence, 28(1–2), 176-189. http://dx.doi.org/10.1080/14783363.2015.1050181. Makrymichalos, M., Antony, J., Antony, F., & Kumar, M. (2005). Statistical thinking and its role for industrial engineers and managers in the 21st century. Managerial Auditing Journal, 20(4), 354-363. http://dx.doi.org/10.1108/02686900510592043. Montgomery, D. C. (2010). A modern framework for achieving enterprise excellence. International Journal of Lean Six Sigma, 1(1), 56-65. http://dx.doi.org/10.1108/20401461011033167. Oprime, P. C., Mendes, G. H. S., & Pimenta, M. L. (2011). Fatores críticos para a melhoria contínua em indústrias brasileiras. Production Journal , 21(1), 1-13. http://dx.doi.org/10.1590/S0103-65132011005000008. PMid:22165445. Pfannkuch, M., & Wild, C. (2004). Towards an understanding of statistical thinking. In D. Ben-Zvi & J. B. Garfield (Eds. ), The challenge of developing statistical literacy, reasoning and thinking (pp. 17-46). Dordrecht: Kluwer Academic Publishers. http://dx.doi.org/10.1007/1-4020-2278-6_2. Pinto, S. H. B., & Carvalho, M. M. (2008). Main quality programs characteristics in large size Brazilian companies. International Journal of Quality & Reliability Management, 25(3), 276-291. http://dx.doi.org/10.1108/02656710810854287. Santos, A. B., & Antonelli, S. C. (2011). Aplicação da abordagem estatística no contexto da gestão da qualidade: um survey com indústrias de alimentos de São Paulo. Gestão & Produção , 18(3), 509-524. http://dx.doi.org/10.1590/S0104-530X2011000300006. Snee, R. D. (1990). Statistical thinking and its contribution to total quality. The American Statistician, 44(2), 116-121. http://dx.doi.org/10.2307/2684144. Snee, R. D. (1998). Getting better business results: using statistical thinking and methods to shape the bottom line. Quality Progress, 31, 102-106. Snee, R. D. (2004). Six–Sigma: the evolution of 100 years of business improvement methodology. International Journal of Six Sigma and Competitive Advantage , 1(1), 4-20. http://dx.doi.org/10.1504/IJSSCA.2004.005274. Snee, R. D. (2005). Leading business improvement: A new role for statisticians and quality professionals. Quality and Reliability Engineering International , 21(3), 235-242. http://dx.doi.org/10.1002/qre.634. Toledo, J. C., Lizarelli, F. L., Aires-Borrás, M. A., & Martins, M. F. (2018). O uso da estatística em grandes e médias empresas de autopeças no estado de São Paulo, Brasil. Innovar, 28(70), 81-98. http://dx.doi.org/10.15446/innovar.v28n70.74450. Wild, C. J., & Pfannkuch, M. (1999). Statistical thinking in empirical enquiry. International Statistical Review, 67(3), 223-248. http://dx.doi.org/10.1111/j.1751-5823.1999.tb00442.x. Xie, M., & Goh, T. N. (1999). Statistical techniques for quality. The TQM Magazine , 11(4), 238-242. http://dx.doi.org/10.1108/09544789910272913. Zhang, A., Luo, W., Shi, Y., Chia, S. T., & Sim, Z. H. X. (2016). Lean and Six Sigma in logistics: a pilot survey study in Singapore. 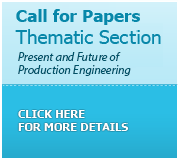 International Journal of Operations & Production Management, 36(11), 1625-1643. http://dx.doi.org/10.1108/IJOPM-02-2015-0093.